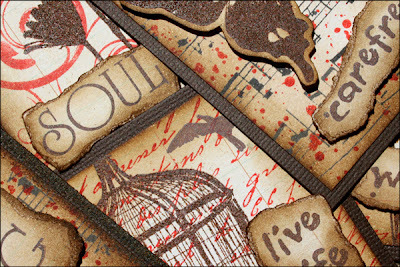 My Creative Existence: My March 2011 Classes at Pages 2 Scrap! I've been busy creating some fun classes to share with you at Pages2Scrap this month! ATC Wallet + 5 ATC's. Saturday 5th March 2011 - 10:30am - 12:30pm. $30 (includes kit). Thursday 10th March 2011 - 10:30am - 12:30pm. $30 (includes kit). 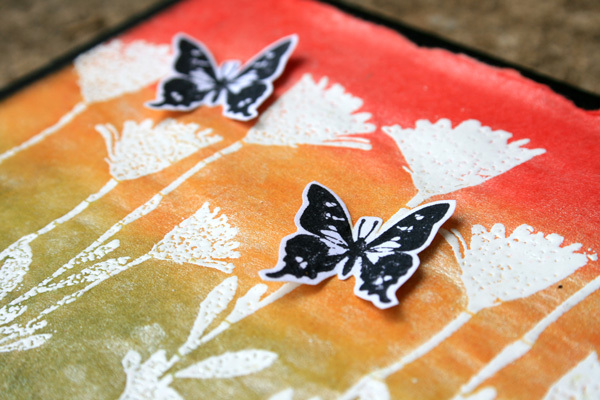 In this class we'll create 5 Artist Trading Cards, plus a gorgeous little expanding wallet to store them in. We'll be using lots of lovely stamps from Darkroom Door, and you'll learn how to use Tim Holtz Distress Embossing Powders. Don't worry if you're not into ATC's yet! I'll explain all about them in class, and if you're still not hooked, I'll show you how to use them on card fronts! As well as papers etc, your kit price includes 1 full tub of TH Distress Embossing Powder! Saturday 26th March 2011 - 10:00am - 12:00pm. $38 (includes kit). Tuesday 29th March 2011 - 10:30am - 12:30pm. $38 (includes kit). In this class we'll create 4 very bright and striking cards, and I'll show you a fun new way to use your alcohol inks! We'll be using lots of gorgeous stamps from Darkroom Door. As well as papers etc, your kit price incudes 2 x bottles of alcohol ink! Pearlised Resist Cards Class - REPEAT. Due to popular demand this class is being repeated! So if you missed out on this class in February, be sure to book in! Saturday 26th March 2011 - 12:30pm - 2:30pm. $28 (includes kit). 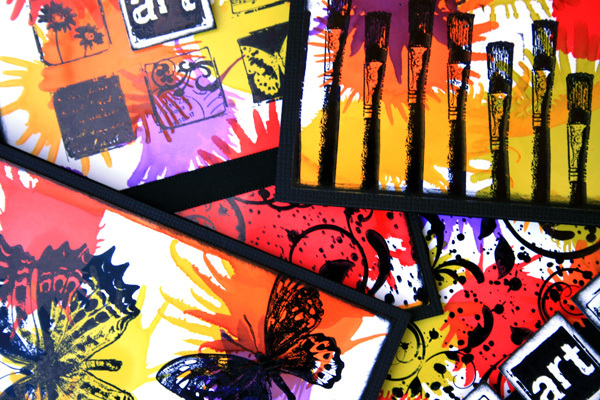 In this class we will make 4 eye catching cards using the Pearlised Resist Technique, and stamps from Darkroom Door. If you'd like to book into any of these classes, please call Pages 2 Scrap on 1300 664 228 to secure your spot!